Many of us purchase our chocolate without thinking about who made it, and that’s a problem, since a variety of large corporations have been accused of using child slavery to give you your chocolate fix. Last September, a lawsuit was filed against a list of companies that includes Hershey, Mars, and Nestle, claiming that the companies were tricking their consumers into funding the child slave labor trade in West Africa. It’s been a cause for concern in the chocolate industry for the past 15 years. Cocoa is the main ingredient in chocolate, and most of it is grown in West Africa, with the two biggest producers being the Ivory Coast and Ghana, which account for about 60 percent of the global cocoa supply. Many companies within the chocolate industry rely almost exclusively on West Africa for their cocoa supply, but most of the cocoa is produced on small farms by farmers suffering from severe poverty. 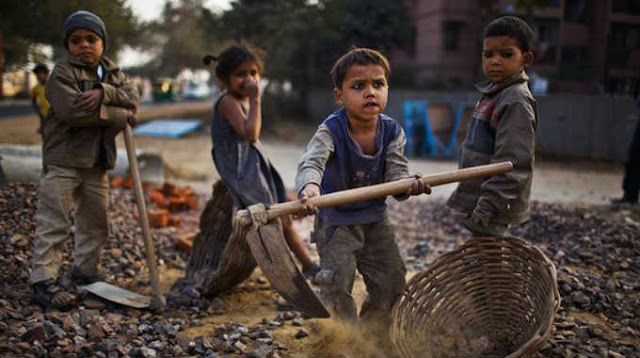 These extremes often result in child labor. Back in 2001, the chocolate industry pledged to end the practices in Ivory Coast and Ghana by 2005, but this deadline has repeatedly been pushed back. Now, the hope is to fully eliminate it by 2020. To understand why this is so important, you need to look beyond the money and beyond the chocolate. You need to become aware of what’s happening to these children. Ranging from the ages of 11-16, and sometimes even younger, the conditions of these child slaves prove grim, with children trapped in isolated farms where they work for 80 to 100 hours every single week. And yet, despite the constant news on the severe subject, the number of children working in the cocoa industry has increased by 51 percent from 2009 to 2014. “They enjoy something I suffered to make; I worked hard for them but saw no benefit. They are eating my flesh,” one freed boy explained. This post was republished from collective-evolution.com. You can find the original post here.